“We used to hear about the significant transformation of Kalijodo but we didn’t ever see it precisely,” said him. “Google provides much information and photos of it,” replied me. We arrived at Kalijodo with Ade's companion before sunset and walked through another gate, the north one. 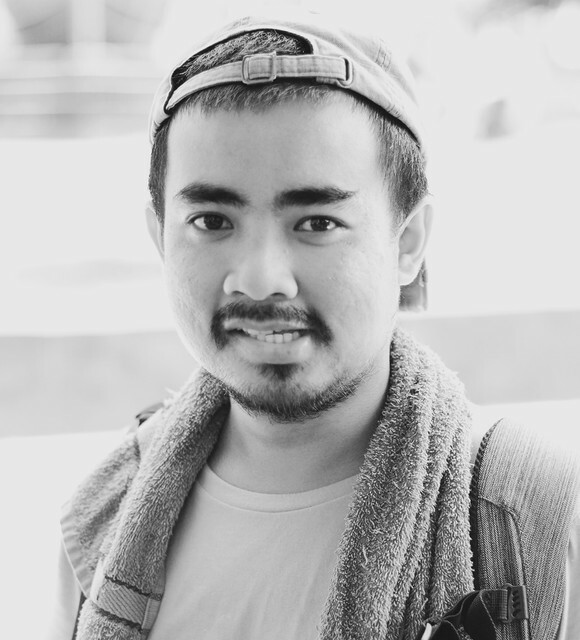 Kalijodo was famous because of their controversial issues. 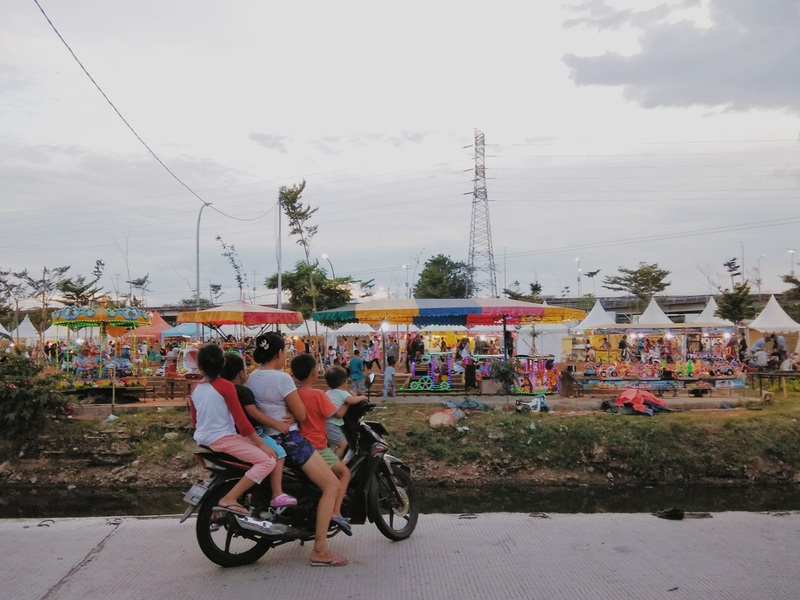 In early 17 century, this river was set up as a place for Imlek celebration in which there were women and men cruised through Muara Angke, shortly after it became a prostitution place. A remarkable book of it was released by my favorite author, Remy Silado, Ca Bau Kan, on 1999 then filmed by Nia Dinata three years later. Anyway, it would be better if you read or watch them. 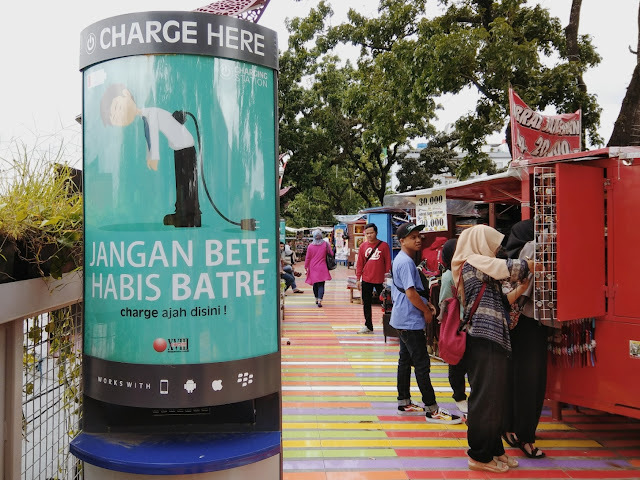 Ahok as Jakarta’s governor, in 2016, had changed it from prostitution place to recreation point—it was a momentous decision though. It was our first trip to Kalijodo. We took a stroll and watched people having fun with their beloved ones. Mitchell J. Landrieu, New Orleans mayor, stated that connecting people to parks is a sure way to build happier, healthier communities and improve daily life. Whilst, a mayor of Bandung, Ridwan Kamil (RK), likely has a similar view of it. 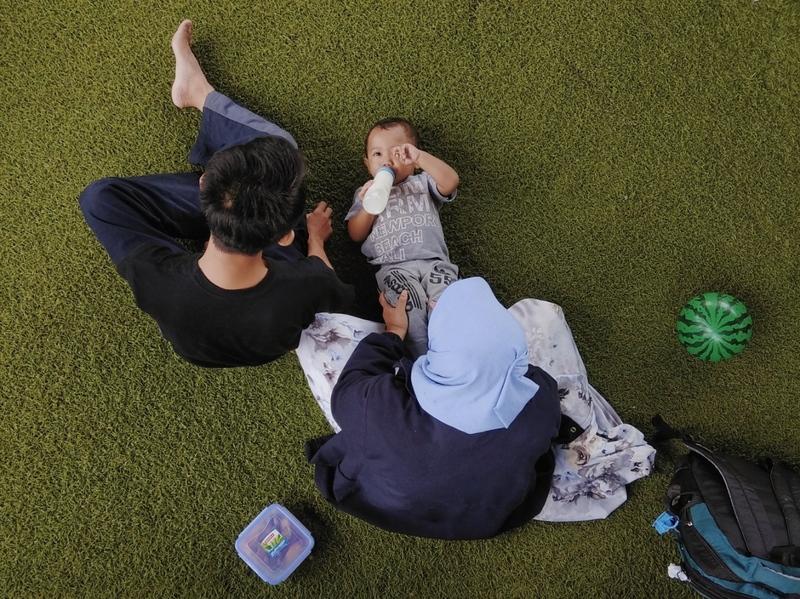 A National Geographic’s interview with him published the characteristic of the city that looks happier is in which the residents are more interaction among them. This can be implemented into a park. 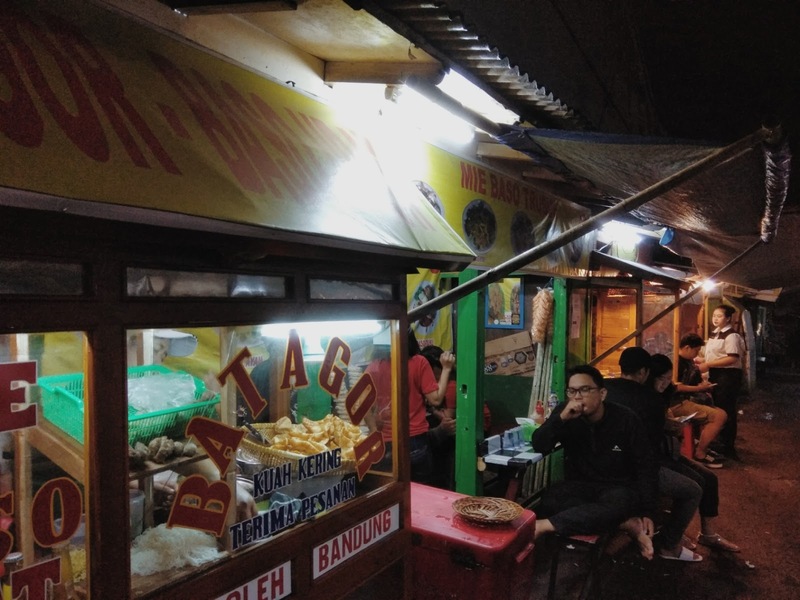 Spending a long night at Gambir station waiting for morning train, we reached Bandung at 10 AM and met our Grab driver. “What’s your purposes come to Bandung, sir?” asked him after we get in his car. “We’re going to observe the parks,” Zaldi replied. “He’s a Giman mayor. A mayor which Gila-Taman,” he laughed. Our first park was BBWS Citarum. It is situated at Citarum river and surrounded by a small forest. 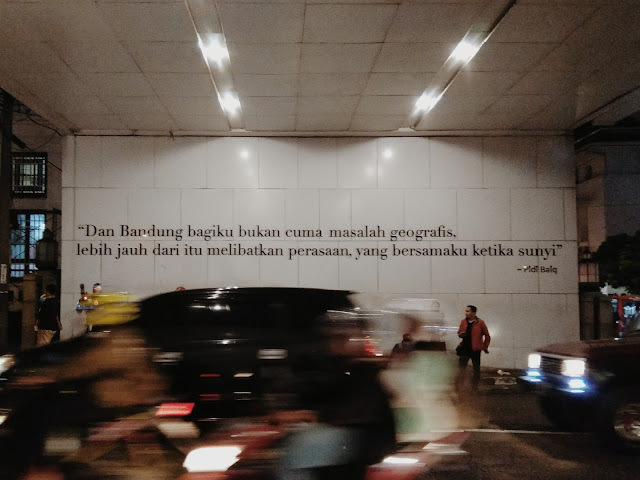 Staying at Jakarta for three months makes me can breathe deeply. You know, in my early move to that city I always have a weather forest by Google saying haze--how terrible is it. Then, we went to Teras Cihampelas—one of the popular places for tourists to shop. This place was revitalized at 2016 and ready to use in February 2017. RK claims this spot as the first skywalk in Indonesia while in the world, only New York has it. Teras Cihampelas was designed for pedestrians and souvenir sellers. They will meet in the sky, sky-walk. Haha. Continuing our trip, we took off under a flyover. 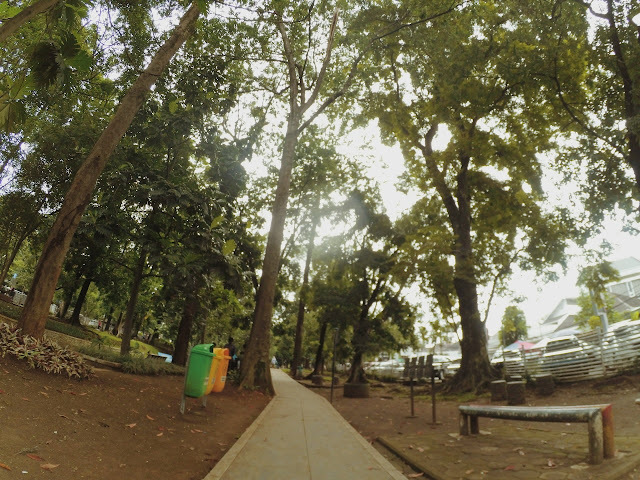 There were several parks over there such as Taman Film, Taman Pasupati or famous as Taman Jomblo, and Skatepark. I saw some families and group of people at Taman Film enjoying the park without distraction. Oh, it is a pleasure for me seeing them. 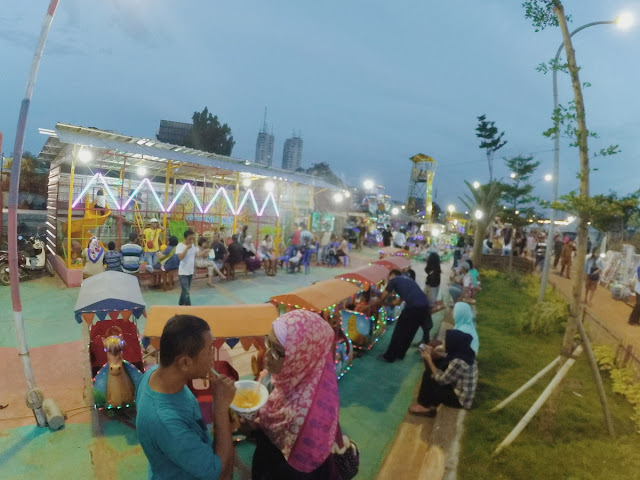 People are true that not only the mall we could visit at the pastime but public space too and it is a truly low-cost holiday (eh, you just have to pay uang-parkir for IDR 2000). And, surely, the government should absolutely provide us public space like a park as they have an authority of it. 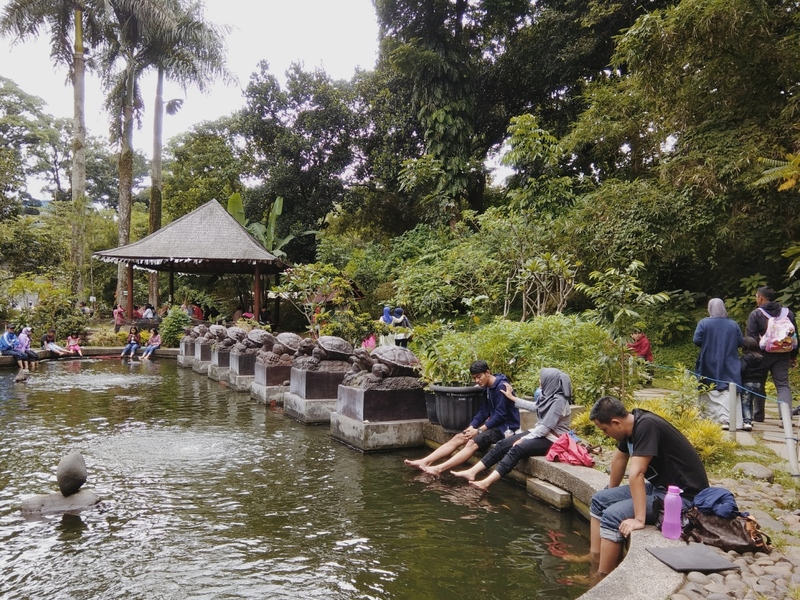 The last two parks we visited were Taman Sejarah and Taman Lansia. Taman Sejarah is located in city center. The most interesting of it was we could watch the history of Bandung through pretty design displaying at the glass. People automatically capture their self with that glass as a background. On the other side, children are having fun in a small pool. Taking off at Taman Lansia, we welcomed by drizzle. The park was full of trees and the middle of it there was a small river. Oh, I, myself felt melancholic at once and spent sometimes to lay off on a bench while listening to nature’s sounds. And you know what happened then? Heavy rain had disturbed me from daydreaming! Grrr. In early night, we landed at Braga and had scrumptious dinner—mie ayam and teh anget tawar before we walked to alun-alun. There was not much we can do since the night had fallen and it was quite dark there. Yet people are still having fun with their families, friends, and mates. It is definitely agreed that public spaces, as John Martin’s quote at BBWS Citarum’s wall—provide us the journey of happiness.